We welcomed the Armstrong family to the studio for a family portrait recently. Jason and Jo-Anne come to us via our association with Bartercard as they have a business called TLC Tree Lopping Services – something that was keeping them very busy after the storms at the end of last year. One year old Caleb had a great time flying through the air with Dad. 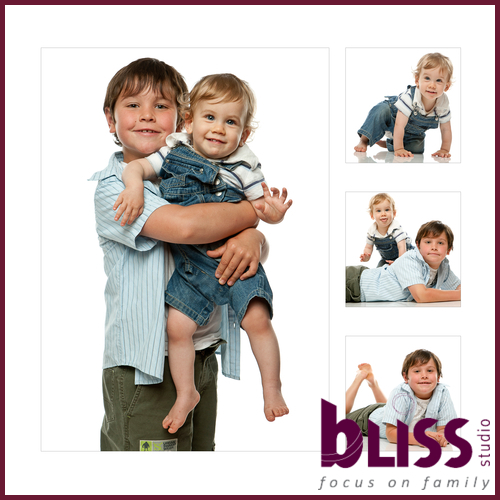 This particular image was turned into an ice-block which is one of our favourite products to display photographs. He also had his cousin Kory along for the day who was happy to have Caleb crawl all over him. It is always fun doing children photography with happy, active participants. The resulting photos can really reflect their bright personalities. Thanks for being such fun guys and we look forward to seeing you again.